© Indexes are used to speed up the retrieval of records. © Indexes can be created using one or more columns, providing the basis for both rapid random lookups and efficient ordering of access to records. © The disk space required to store the index is typically less than the storage of the table (since indexes usually contain only the key-fields according to which the table is to be arranged, and exclude all the other details in the table). © Searching an index is much faster than searching the table because the index is sorted and its rows are very small. 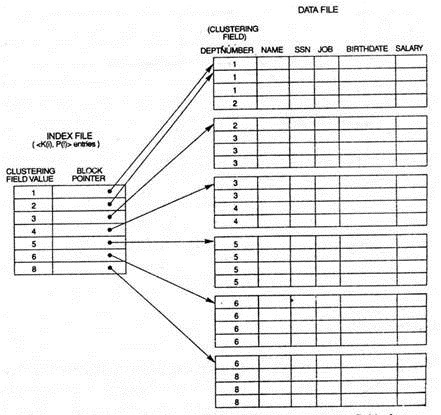 © Index access structure is usually defined on a single field of a file, called an indexing field. · A primary index is an index specified by ordering key field. 2. Second Field: Pointer to a disk block. · Each index entry has the value of the primary key field for the first record in the block and pointer to that block. · Performing the search operation on the index can be done more efficiently as the Index file is much smaller than the data file. Block Anchor: Block anchor is also referred as anchor record. 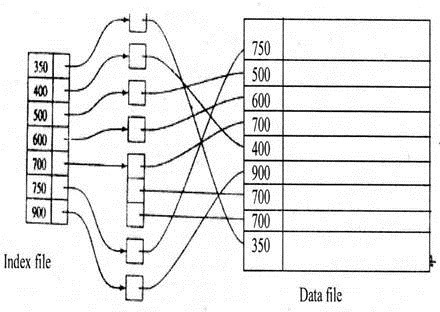 The number of entries in the index is equivalent to the number of disk blocks in the sorted data file. The data file is called the block anchor. A dense index has an index entry for every record since they have an entry for every search key value in the data file. A sparse index has index entries for only some of the search values. · A Clustering Index is an index specified by ordering non-key field of a data-. · That field is called the Clustering Field. · Unlike a primary index, this may have duplicate values. · Secondary index is an ordered file with two fields. · The first field is of the same data type as some non-ordering field of the data file. i.e., indexing field. The second field is either a block pointer or a record pointer. 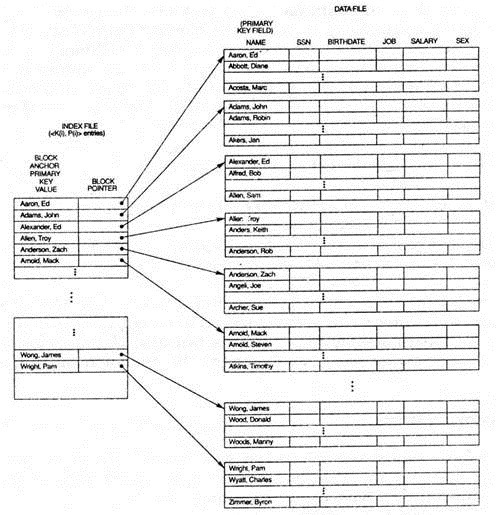 In this case there is one index entry for each record in the data file, which contains the value of the secondary key or record; pointer points to the block in which the record is stored or to the record itself. Hence it is an example for ‘dense index’. The records of the data file are not physically ordered by values so we can’t use block anchors; that’s why an index usually needs more storage space or longer search time as compared to primary index. Figure A dense secondary index on a non-ordering key field of a file.